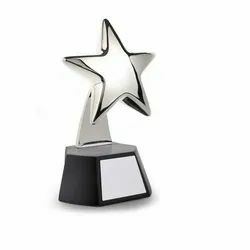 Our trophy is issued for Sports Trophy, Honouring, momento. We have all types of trophies. 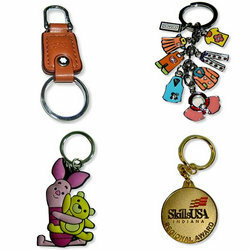 With our industrial expertise, we are offering a wide range of promotional key chains, which are designed as per the latest trends and styles. Available in various sizes and different colors, these promotional key chains are ideal for gifting purpose to near and dear ones. These key chains are available at most reasonable rates. 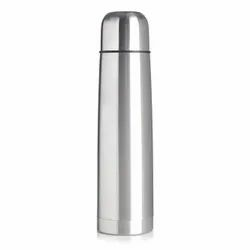 We are engaged in supplying all type of promotional vacuum flask (water bottle). These vacuum flask are available in either printed or plain as per the requirements of our clients a. We print promotional designs as desired by our clients in our innovative style and prints at market leading prices. Features-1) Available with inside and outside consist of stainless high grade steel without any glass, therefore unbreakable. 2) Hygienic and easy to clean. 3) Double wall stainless steel with vacuum insulated for longer time. 4) Eco friendly with sizes from 500 ml onwards. Benefits: 1) Easy to carry i.e. portable. 2) Keeps water temperature consistent for 12 Hours. 3) FREE attractive carry cases. We are engaged in supplying an excellent assortment of promotional t-shirts in different specifications such as round neck, collar neck and others. These are available in all colors & sizes for kids, men, and women whether printed of plain as desired by our clients. 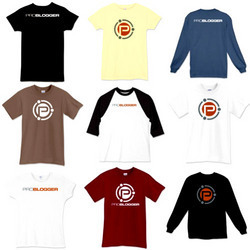 We customize our range of t-shirts at market leading prices. 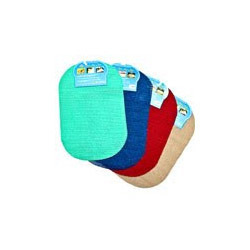 We offer promotional caps that are available in various designs, patterns, colors, quality as well as durability. 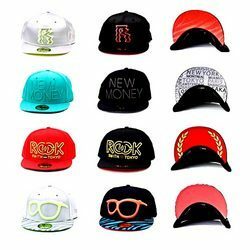 Our range of caps are widely used in the promotion of company names or brands in fairs, seminars, shows etc. We offer these promotional caps in different specifications as per the specifications of our clients. 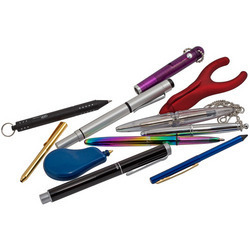 Our company is engaged in offering qualitative range of promotional pens that are manufactured from the best materials. These are available in a wide variety of sizes and colors thus meeting the varied needs of our clients. We offer customized services to our clients and even engrave the name of client's company on these products. We offer these pens at most economic rates. 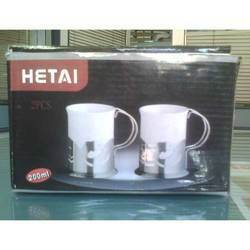 We are engaged in supplying all type of promotional mugs such as sublimation ceramic mugs, color changing mugs, inside color mugs, borne china mugs and other mugs. 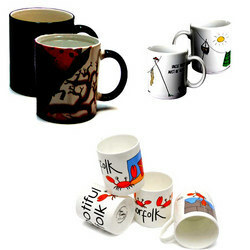 These mugs are available in either printed or plain as per the requirements of our clients. We print promotional designs as desired by our clients in our innovative style and prints at market leading prices. Our company offers promotional umbrellas specially designed to use for promotional campaigns for brands. 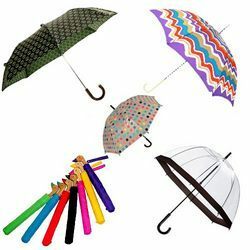 These umbrellas come in varies looks whether normal or wooden, garden and tent umbrellas in attractive colors and sizes as per the client’s requirements. We also supply these umbrellas with custom printed logos of our client’s company which they use as gifts for trade-shows, club members, event freebies, customer appreciation, souvenirs, employee gifts and more at most competitive rates. Our company offers a wide collection of promotional diaries includes yearly organizers, telephone diaries, note pads and many more as per client's requirements. We present promotional diaries in various colors with a perfect blend of design, value and functionality. These diaries are procured from reliable vendors who use good quality raw material and innovative designs to manufacture these diaries. 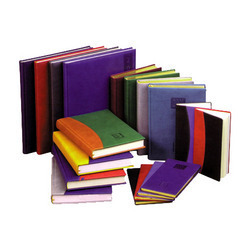 We offer these diaries at most competitive prices.